While the tie has become the gold standard in Father’s Day gift giving, well, more like the default gift when you aren’t sure what else to give, fortunately, there are alternative, more creative options out there. 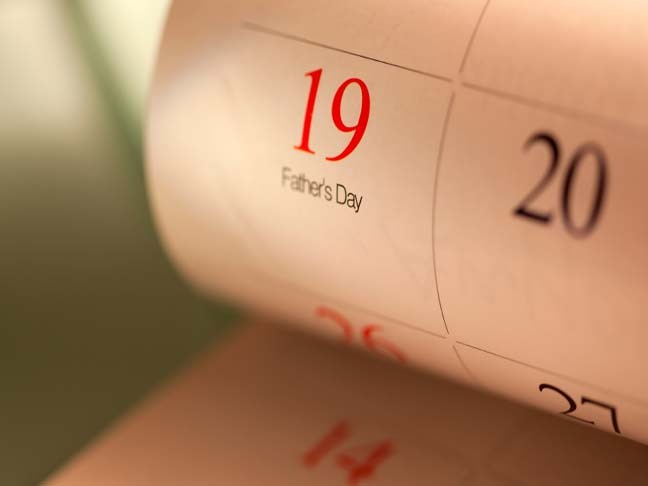 Check out some of these fabulous Father’s Day gift finds for the special man on your list. For the Gadget Guy: The iphone Photo Printer. For the gadget guy, the iPhone Photo Printer has the potential to be a blockbuster hit. Especially if you can manage to get your hands on his phone and take some photos of the kids holding signs with slogans like “#1 Dad” or “World’s Best Dad” prior to giving it to him. This neat device is small, portable, doubles as a charger and doesn’t even require ink cartridges. If he doesn’t have an iPhone or iPod Touch, you are still in luck. Adapters are available for Android phone, iPad and iPad2 users. Retails for about $160 from Hammacher Schlemmer. For the Nutrition Nut: You Bars. For the dad that takes eating healthy seriously, build and name your own nutrition bars for dad. Get the kids involved with formulating the recipe or opt for a standard bar that has dads favorite flavors. Choose a fitting Father’s Day phrase like “World’s Greatest Dad” and the wrapper will be customized to reflect it. A Father’s Day gift box retails for about $50. For the Sentimental Dad: A Handmade Gift. For the dad that just loves showing off everything his children have ever made him, a handmade gift can be the perfect option. Take it up a notch by adding a professional touch. Visit a local paint your own pottery studio and have the kids paint a coffee cup, BBQ platter or other piece of pottery for dad. They’ll glaze it and fire it up in the kiln so that the end result is a useable piece of ceramic dishware that looks like it just came out of a high-end shop. For the dad who has a standing tee time, monogrammed golf club links are likely to be a winning choice. Personalize these beauties with dad’s name and cell phone number in the event he loses a club. Available at RedEnvelope.com for about $60. For dads with children old enough to handle a golf club, add a gift certificate for a round of golf, mini-golf or a bucket of balls at the local driving range. For the dad who loves anything and everything sports related, plan a family outing to see your local minor or major lead team play. If you can score tickets to see his favorite team, better yet. He’s bound to enjoy introducing his kids to one of his favorite pastimes, cheering for his favorite team. So while it can be tempting to pick up the standard tie, before you do, consider your options. Reflect on dad’s interests and how involved the kids can be in selecting or creating the gift. When you do, you’re likely to select a Father’s Day gift that dad will really love and that you and the kids will really enjoy giving. Do any of these gifts sound appealing? What are you getting for dear old dad? Share your thoughts below.